Lavender is produced on the Mediterranean coast, across Europe and the Oceania Islands, such as the small town of Provence in the south of France. It was widely planted in the United Kingdom and Yugoslavia. It is now in Tennessee in the United States and Hokkaido in Japan. Xinjiang's Tianshan Beibei and France's Provence are located in the same latitude zone, and the climatic conditions and soil conditions are similar. It is the lavender planting base and the hometown of lavender in China. Xinjiang's lavender has entered one of the world's eight famous varieties. Sexually dry, flower-shaped like wheat spikes, with slender stems, covered with star-shaped fine hairs, small purple-blue flowers on the ends, narrow and long leaves are gray-green, high in adulthood Up to 90cm, usually flowering in June. Whenever the flowers bloom, a whole piece of lavender field is like a deep purple wave layer that rises up and down, very beautiful. Lavender perennial herb or shrub, although called grass, is actually a purple-blue flower. The area around Zhejiang is also known as the blue fragrant flower. Lavender is clustered, mostly branched, and the common one is erect growth. The plant height depends on the variety of 30-40 cm, 45-90 cm. In the mountainous areas with relatively high altitude, the individual plant can grow to 1 m. Leaves alternate, elliptic-tiped leaves, or needle-shaped larger leaves, leaf margins re-rolled. Spikes terminal, 15â€“25 cm long; corolla lower tubular, upper lip, upper lip 2-lobed, lower lip 3-lobed; flowers ca. 1.2 cm, with blue, deep purple, pink, white, common It is purple-blue and flowering from June to August. The whole plant has a light aroma of wood, and the oil glands are hidden in the fluff of the flowers, leaves and stems, and the oil glands are gently touched to break the fragrance. Lavender is a perennial shrub. It can be used for about 10 years. The variety is extensive and easy to cultivate. 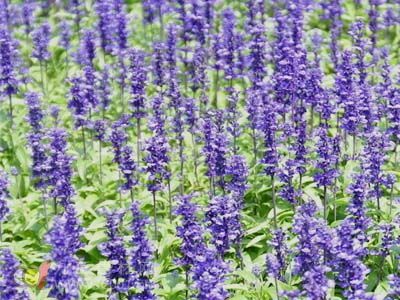 It is sunny, drought-tolerant, extremely cold-resistant, resistant to thinness, and resistant to salt and alkali. The cultivated field requires sufficient sunshine and good ventilation. The time required for sowing to flowering (or harvesting) is 18 to 20 weeks. Lavender should be cultivated in large containers. However, in potting, you can use pottery basins or smaller plastic pots to prevent over-wet. It is not advisable to use large pots unless they have grown to a considerable size. Lavender can't stand the heat and humidity, and if it suffers for a long time, it will die. When planting outdoors, be careful not to allow rainwater to drip directly onto the plants. After May, you need to dispose of the place where the sun can't be directly exposed. Increase the ventilation to reduce the ambient temperature and keep it cool before you can spend the summer. Pay attention to sunlight, moisture, temperature and patience. 1. Refresh your mind and enhance your memory; it will help you greatly. 2, relieve nerves, affectionate, and have the magical effect of soothe the nerves to promote sleep. 3, promote blood circulation, can treat acne, nourish hair. 4, inhibition of high blood pressure, nasal sensitivity and asthma. 7, maintain respiratory function, have a good effect on nasal and mucosal inflammation, can be used for bathing. 8, can prevent viral and infectious diseases. 9. Remove odor and purify the air. 10, in addition to ants, mites, mites, can be placed under the wardrobe, pillows. Our Endless Conveyor Felt for aluminum extrusion have different raw material: PBO +Kevlar, 100% Kevlar, Nomex, Polyester. Our main product: felt roller,felt belt,felt strip, The product is mainly used in large-tonnage extruder matching step-by-step or translating cooling bed in the ultra-high temperature area, we can provide you special resin hardening process to improve product wear resistance, increase service life. Next: Gear pump in the installation of what are the requirements?